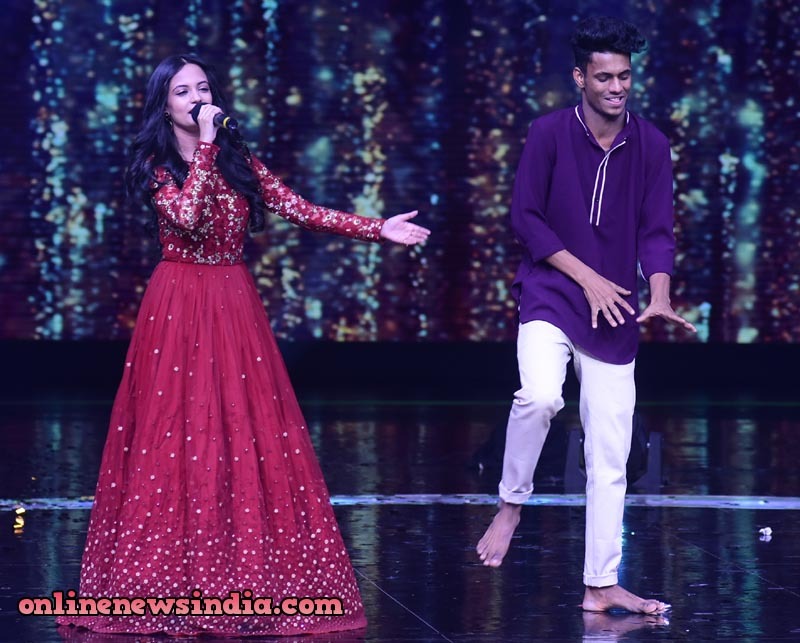 Ketaki Mategaonkar Surprises Contestant Chetan Salunkhe on Dance Plus 4! Mumbai, November 22, 2018 (Team Online News India): As the bar keeps raising for the contestants every week on Dance Plus 4, the contestants have been giving their best shot every week to make their place in top 8. While the contestants have regular visits from their pluses, this week Chetan Salunkhe was surprised by the guest who came to visit him! On the sets of the show, Timepass star Ketaki Mategaonkar came to surprise Chetan Salunkhe from Team Punit, as he is a big time fan of her. Chetan being the ultimate fan, even has his mobile wallpaper set to Ketki’s picture. After his dance performance, while Punit was talking about Ketaki to him, she made a surprise entry from behind after which Chetan was filled with happiness and excitement. Awestruck Chetan, couldn’t believe his eyes that his favourite actress and singer was just right there next to him. Grooving on his favourite song of hers, Ketki sang ‘Mala Ved Lagle’ and ‘Main Tenny Smajhawan Ki’ for Chetan! They also recreated Chetan’s performance where Chetan played a fan boy in love with the big artist, the scene was a reality on the set! Moment of Nostalgia for Karishma Kapoor! © Online News India All Rights Reserved.